Gender equality is important to Lesley Symons. So when she was choosing her masters degree course, she applied to Insead in large part because the cohort was an almost equal split between male and female students. However, when she started the programme at Insead’s Fontainebleau campus, Ms Symons was perturbed to find that the business case studies her class were expected to read were anything but balanced. Just one of the corporate stories she was asked to study across eight course modules contained a female protagonist. “And that was about a young MBA doubting herself,” Ms Symons says. Case studies are crucial to MBA teaching because they provide the source material for students to prepare for classroom discussions about corporate challenges. The case method of teaching originated at law school — hence the name — but has been used by leading MBA programmes for decades. Ms Symons decided to create a research project to check whether the bias she had detected was similar on other business masters courses. Analysing 53 award-winning cases held by the Case Centre, the world’s largest independent archive of management teaching materials, Ms Symons found just seven with female protagonists. Of those, two were originally written without mentioning the protagonist’s gender, only revealing it to be a woman in the final version. All the female protagonists came from what Ms Symons calls “pink” sectors, such as fashion, food and homeware. The lead writer of 46 of the 53 cases was male. According to Ms Symons, the representation of women in MBA case studies is more important than the gender split of class cohorts and teaching staff because it influences what students expect to find when getting a job. “It has been shown in research that where women do not see themselves as leaders they tend to not put themselves forward for leader roles,” she says. Ms Symons is now repeating the process of assessing case studies in partnership with the Forté Foundation, which lobbies for greater female participation in business education. New research by Ms Symons to complement this campaign is throwing up similar results to the first study, which used data from a decade ago. “It may even be getting worse,” Ms Symons says. Leading business schools are under pressure to improve their performance in terms of providing teaching relevant to a more diverse student audience. Rebecca Love, a PhD student in the school of clinical medicine at the University of Cambridge, recently conducted a study of 35 case studies used by MBA tutors at the university’s Judge Business School and found that half had no mention of female executives. Of those that did, 43 per cent were women leading companies in “pink” industries. Just 14 per cent of the male leadership cases were in these sectors. Ms Love says she focused on her university’s business school because its MBA students were most likely of all the college departments to be the next generation of corporate leaders. The current reliance on the gender percentages among MBA students and staff is “meaningless” unless schools create an environment in the lecture hall that teaches the benefits of greater gender equality, according to Ms Love. The Forté Foundation has also been working with the Association to Advance Collegiate Schools of Business in a bid to introduce an element of case study assessment into its school accreditation process. However, Elissa Sangster, the Forté Foundation’s executive director, admits this is a difficult process, given that the AACSB does not currently set a target for the percentage of female faculty that schools should employ. Juliane Iannarelli is the AACSB’s chief diversity and inclusion advocate. She is a year into the job — and the role was only created in 2015. Ms Iannarelli says greater diversity in case studies is an “educational opportunity” but refuses to commit to the creation of specific standards for school accreditation. “There is a long list of aspects of business education that we are working to address,” she says, adding that it is hard to insist professors teach a certain proportion of female case studies when few are available. “The library of cases is not yet ready,” Ms Iannarelli says. Individual schools are taking action. Oxford’s Saïd Business School is one of several institutions that have brought in female business leaders to discuss challenges with MBA classes. “Live case studies” are in part a response to the lack of written material available, according to Kathy Harvey, the school’s associate dean for MBA and executive degrees. “The trouble is that there is no one industry-wide attempt to solve the problem,” Ms Harvey says. A key sticking point is setting a quota that teaching staff are happy with, she adds. “I don’t think there is a consensus as to how you would measure this ”. Meanwhile, gender balance among MBA student intakes is already measured by rankings such as those compiled by the Financial Times. 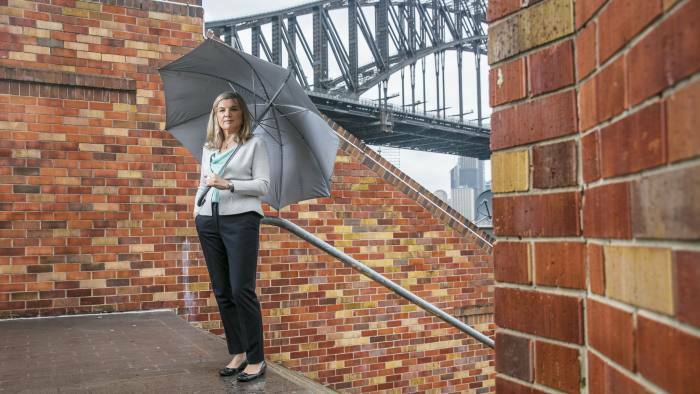 The average percentage of women on MBA courses run by members of the Forté Foundation has grown from 28 per cent to 38 per cent in the 14 years since the non-profit body was founded. When business schools get close to four in 10 of the MBA class being women, the dynamics change to make the mood in the classroom more gender neutral, according to Ms Sangster. “If you are only able to have one woman in each discussion team within a class then that woman won’t feel comfortable,” she says.